Jennifer Evans joins Torrey Smith Realty Company with a passion for sharing her love and commitment to the Shelby County community. When Jennifer and her husband, Rob, decided to move from Louisville to Shelby County more than 13 years ago, they looked forward to a little more room, fresh air and the benefits of a small town atmosphere so close to the big city. What they experienced, however, was a community that embraced their family in a way that made the Evans feel welcomed, protected and loved. That’s one of the reasons that she has chosen to help promote Shelby County as a destination for families who want to settle down here. “This community totally embraced us. It’s a place where I know my children are safe because there are a 100 other moms who are keeping their eyes on them. It’s simply a family-oriented place,” she described. In addition to selling Thirty-One products for the last nine years, Jennifer has been instrumental in running a foundation, Hanna’s Day of Hope, which is named after her oldest daughter who died from cancer at the age of six. The foundation has raised more than a million dollars since her passing in 2006, which the Evans family has donated to Norton Children’s Hospital in Hanna’s honor. Jennifer said that when her daughter was sick, the Shelby County community came together in a way she never expected. Eleven years later, Jennifer said she still feels the love and support of the community. With her husband’s background in engineering and building, Jennifer has learned a lot about houses. Raising three additional children (Sarah, 14, Grace, 10 and Davis, 7), she understands what makes a house a home. She said she’s looking forward to helping people translate their vision into a reality and find a home that’s the right fit. “Some people have a hard time seeing the potential of a home and how they can make it their own. I’m looking forward to helping them see past carpet color or other limitations,” she added. Jennifer brings a unique perspective that will help guide her clients through the emotional buying and selling process. Her life experiences, love for the community and enthusiasm for helping others settle in Shelby County are great assets for Torrey Smith Realty Company. 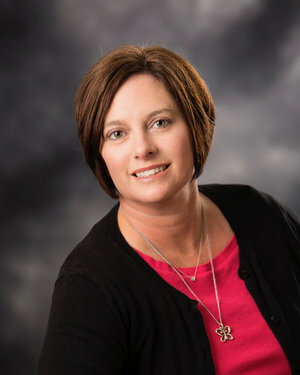 To connect with Jennifer about buying or selling a home, contact her at jennifer.evans@smithclick.com or 502-744-6729.